We focus on every detail of our business to ultimately provide our customers with the confidence and knowledge that the services and products they receive from RoyalStar Assurance are absolutely the best available. With a dedicated team, RoyalStar is committed to the ongoing training of its people and is focused on enabling and empowering them to give superior performance to every customer. One of the company’s fundamental beliefs is to create a working environment that is conducive to everyone working together as a team. Facts & Figures on RoyalStar Assurance Ltd.
Sunshine Insurance (Agents & Brokers) Ltd is a leading insurance broker in The Bahamas and a wholly-owned subsidiary of Sunshine Holdings Limited (SHL). It is the local correspondent in The Bahamas for Marsh, the global leader in insurance broking and risk management. The company was incorporated in November 1994. In the beginning, satisfying the holding company’s insurance needs was the core of the business. However, business rapidly expanded into the local market and strong ties were formed with both local and overseas insurance providers. In 1999, Sunshine Insurance became cover holders for Lloyd’s of London, the world’s largest specialist insurance market. As cover holders, we are able to bind cover on certain classes of business on our clients’ behalf. In 2003, Sunshine Insurance became the correspondent broker for Marsh – the world’s #1 risk specialist – and provides seamless service to its global clients’ regional operations in The Bahamas. This relationship also gives Sunshine Insurance global reach in providing insurance products to its clients. Sunshine Insurance offers a variety of insurance products for home, commercial, motor, aviation, health, life, taxi, jitney, and marine. 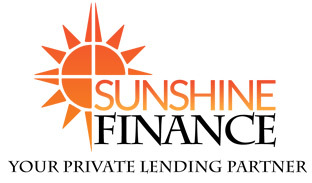 Sunshine Finance Limited is a boutique private lender that is a wholly owned subsidiary of Sunshine Holdings Limited. Founded in 2005, Sunshine Finance opened primarily to assist the clients of Arawak Homes Limited (AHL), the country’s largest home developer. More than a decade later, Sunshine Finance has granted loans to, and consolidated loans for, thousands of clients, and recognizing the broader public need for financial assistance, is making its loan and loan consolidation products available to all. As a boutique lender, Sunshine Finance delivers speedy service with a focus on superior customer service. In 2016, to effect significant financial diversification, Sunshine Finance partnered with Ascendancy, a Mexican Financial and Real Estate conglomerate, along with the support of the Finance Corporation of the World Bank, to acquire significant amounts of distressed mortgages from commercial banks in The Bahamas. This is a first for any Bahamian financial entity to foray into this intriguing new market. It is anticipated that this line of business will become a major component of Sunshine Finance’s growth over the medium term.